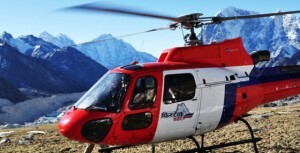 Nepalflightbooking.com is an authorized online agent for flight tickets, flight and helicopter charter as well as land transportation company located in Kathmandu, Nepal. 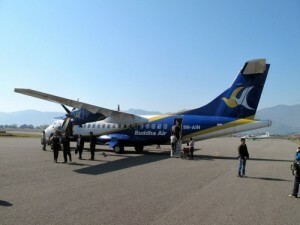 We're dealing with all domestic airlines of Nepal such as Buddha Air, Yeti Airlines, Simrik Airlines, Nepal Airlines, Agni Air, Goma Air and Kastamandap Airlines for all your flight needs throughout the country with excellent personal contacts and therefore excellent conditions, both for fares and availability. Similarly, we deal with international airlines such as Qatar Airways, Thai Airways, Etihad Airlines, British Airways, Korean Air, Air China, Dragon Air, Silk Air, Singapore Airlines, Druk Air, Jet Airways, Air India, Spice Jet, Indigo , China Southern Airlines, China Eastern Airline & many more Airlines who are operating flights to and from Kathmandu, Nepal. Kathmandu Pokhara Flights are a short 25 minutes flight from Kathmandu Airport. You can catch daily Kathmandu Pokhara flights from Morning 8.30 AM to 16.00 PM in the evening.You can take this Kathmanu Pokhara flights making your journey short and comfortable with beauty of Dhaulagiri, Annapurna, Fishtail and Manaslu Range as well as surrounding peaks. 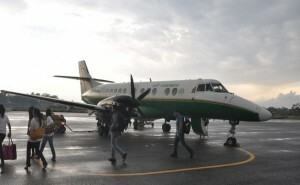 Kathmandu Lukla Flights are only of 35 minutes in air which gives you access to Lukla, starting point of Khumbu region.Tara Air, Agni Air, Sita Air, Goma Air & Nepal Airlines are operating this Kathmandu Lukla flights daily between 6.30 AM to 12.00 PM. Kathmandu Bharatpur flights is of only 25 minutes giving you instant access to famous Chitwan of Nepal. Kathmandu Bharatpur flights is very short and comfortable than travelling by road which gives you plenty of time to visit Chitwan National Park. These Kathmandu to Bharatpur flights are reliable, quick and time saving operated Yeti Airlines and Buddha Air twice a day. 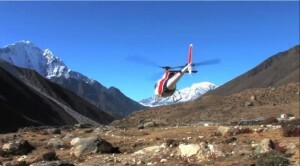 Your, Mount Everest Sightseeing by Helicopter, tour starts from Tribhuvan International Airport. 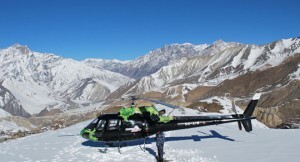 You will be flying on a helicopter with a great vista of Kathmandu valley and surrounding hills. You will be taken to northeast parallel to Himalayan Range and Everest region. Muktinath is one of the famous Hindu and Buddhist Pilgrimage tour in Nepal located in the district of Mustang in the north central part of Nepal at an elevation of 3710 m above sea level. This Pagoda style of the temple is very holy to Hindus as well as Buddhists as they refer to this place as Mukti chhetra, which means 'Place of salvation'. The holy shrine at Muktinath is in a grove of trees and includes a Buddhist Gompa and the pagoda style temple of Vishnu Temple, Containing an Image of Vishnu. Annapurna has been one of the famous tourist destinations of Nepal which is located in North central of Nepal bounded by Kali Gandaki Gorge on west, Marshyangdi River on east and north and beautiful Pokhara valley in the south.